Apple is reportedly prepping an update to its iOS 6 operating system that will rectify some of the bugs reported by those who have been using the revamped mobile OS. According to BGR, Apple is now testing iOS 6.0.1 with several U.S. carriers, but it's early days yet, so don't expect the update to be announced at tomorrow's Apple event in San Jose or available on the expected iPad mini at launch. 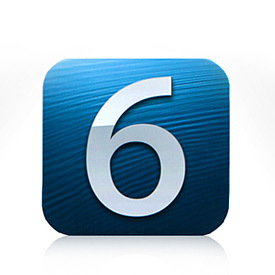 The blog tipped a release in the "coming weeks," with the full iOS 6.1 update after the holidays. When it does make its debut, however, BGR said iOS 6.0.1 will fix the horizontal, snowy lines present on some iOS 6 devices when typing on the keyboard, as well as incidents of the camera not flashing. There will also be some connectivity fixes, like one that failed to connect to cellular data in some cases, as well as a bug that let people access Passbook details even if the phone was locked. Glitches within new mobile operating systems are nothing new, but the largest issue within iOS 6 is the much-maligned Apple Maps app. The app replaced Google Maps as the pre-loaded Maps app of choice for iOS, but users quickly found that results on the Apple version were a bit off or showing odd, warped imagery. Apple later apologized for the lackluster app and even suggested users look into rival mapping options until Apple worked out all the issues. The first update to iOS 5 came about two months after its release and included a fix for a battery-draining bug.